Tagmarshal’s Pace of Play management solution also provides a Marshal tracking module. 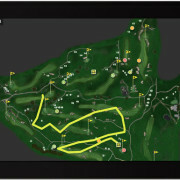 For golf course managers line of sight is a major benefit and this specific system module allows for real time Marshal tracking on the course. That means all Marshal’s positions are available on the system map at any time. It also provides tracking history to show which routes the Marshals have taken and how long they were active for in which areas. The system assists management in monitoring and improving performance, but also has very direct day to day management benefits, such as saving on any ‘Where are you’ phone calls and the time generally needed to select the appropriate Marshal to respond to requirements. Tagmarshal can also track and provide line of sight for other course assets and resources such as Beverage carts, Machinery or Greenkeeper. To find out more, simply request a short demo of the Tagmarshal System.